YMCA Victoria is a not-for-profit community organisation that has been improving the health and happiness of the Victorian community for more than 160 years. YMCA Open Doors is an initiative that provides full or subsidised access to YMCA programs and services to people in need. There is a great range of programs and services on offer for people of all ages, abilities, cultural backgrounds and lifestyles. Your support can help to open doors for hundreds of people needing support within the City of Casey. To help, please click on the donate button and make a difference in the lives of others less fortunate in our community. YMCA Open Doors helps people experiencing disadvantage by subsidising the costs of YMCA programs and services. If you or someone you know is experiencing financial difficulty, and would like to access the YMCA’s services, subsidies of up to 80% are available through YMCA Open Doors. Please read over the below eligibility criteria and instructions. 2. A nomination form to be completed by a referral agency to verify that the applicant is unable to pay but would benefit greatly from participating in a YMCA program or service. 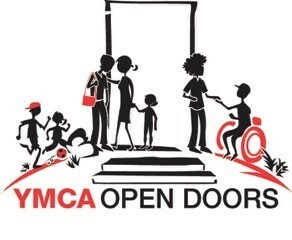 We are not accepting applications for the YMCA Open Doors Initiative effective 12th November 2018 until 1 July 2019 due to the unexpected high level of demand. This will allow us time to process existing applications and raise more money to help those in need.